The challenge of this custom variable frequency drive design was to maintain constant airflow by changing motor speed as the filter changed from “no load” to “100% load”. The custom VFD design had to fit into an existing control panel with a height limitation of under 2.5 inches. 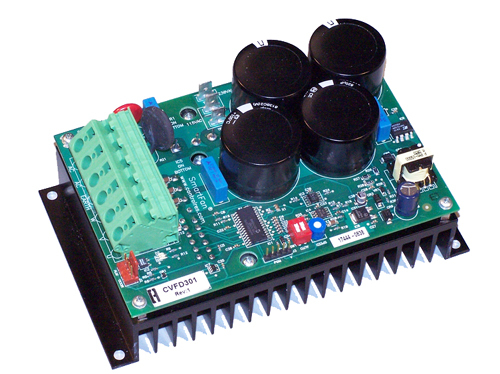 Fast start-up (<5 seconds) and intelligent setpoint return are some of the programmed features of this unique custom VFD design.